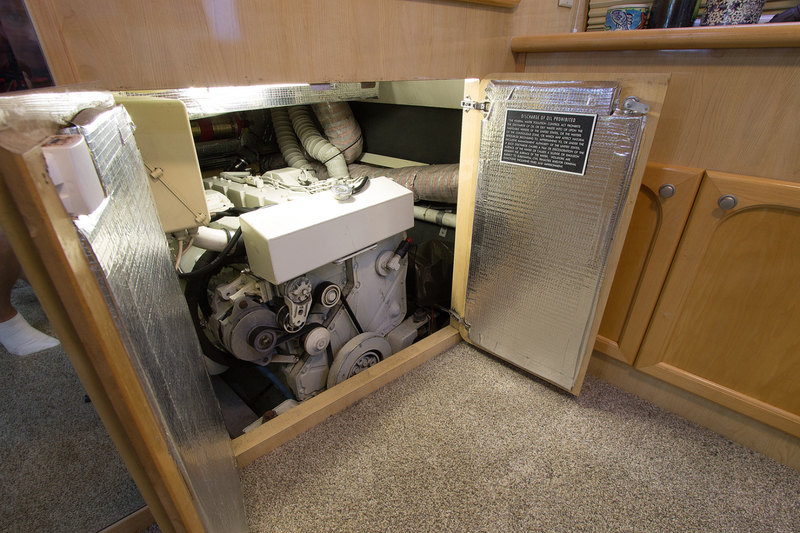 Powered by twin 450 Cummins "Diamond Series" diesels with low hours, "Makenzie‐E" is ready to provide her new owners with trouble‐free service. 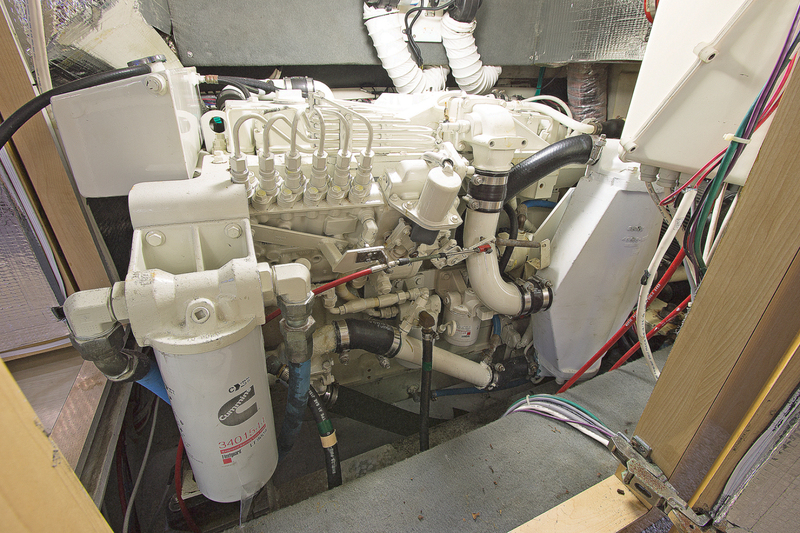 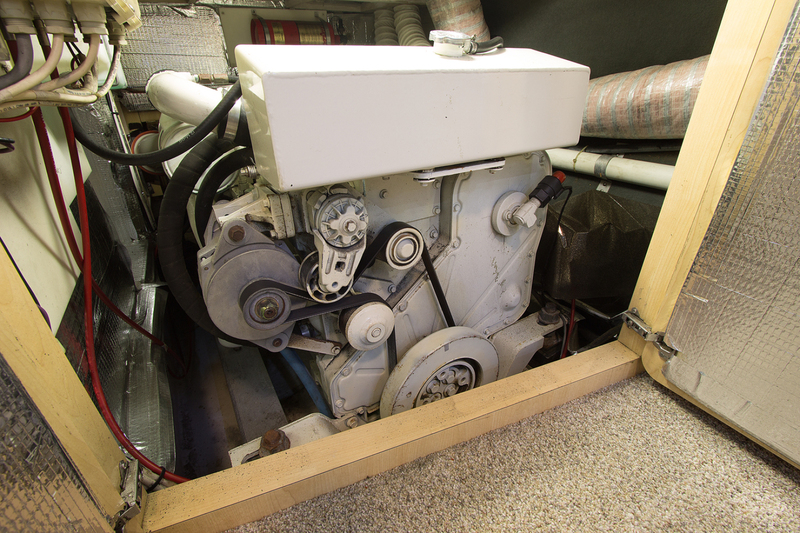 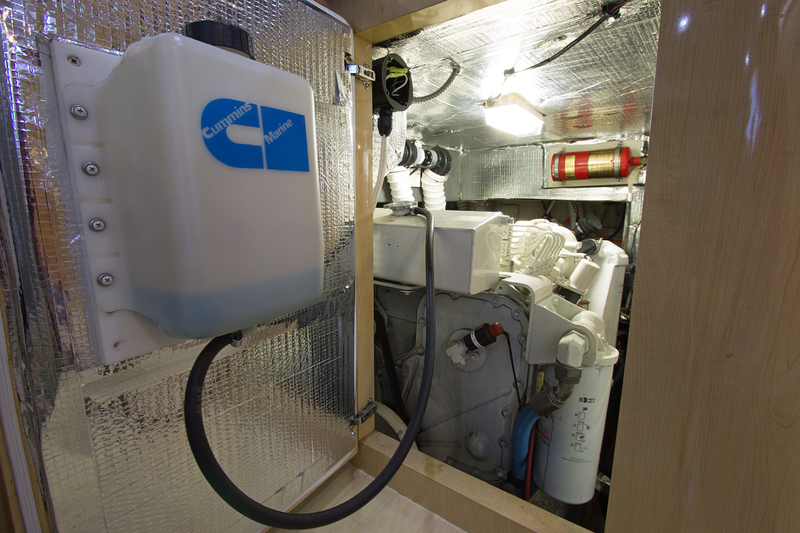 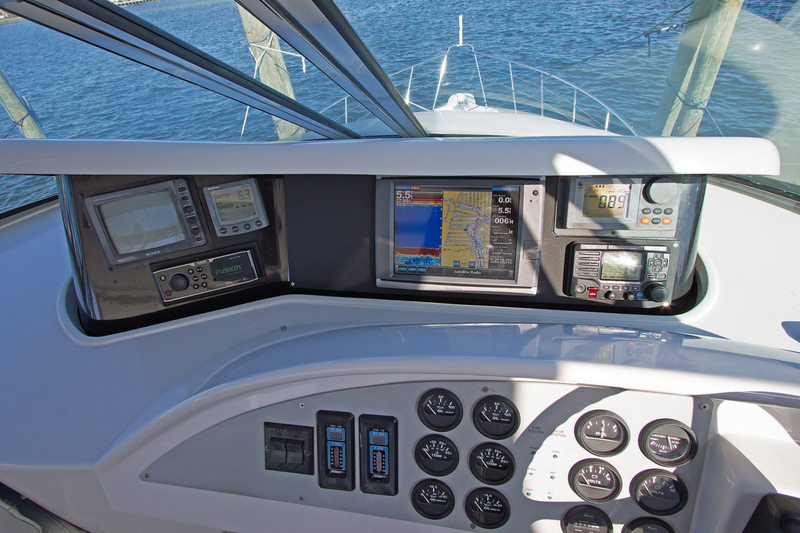 Whether at the dock, underway or at anchor, electrical power is provided by 50‐amp shore power, a Westerbeke 11 kw generator, 2500‐watt Inverter and 6 batteries. 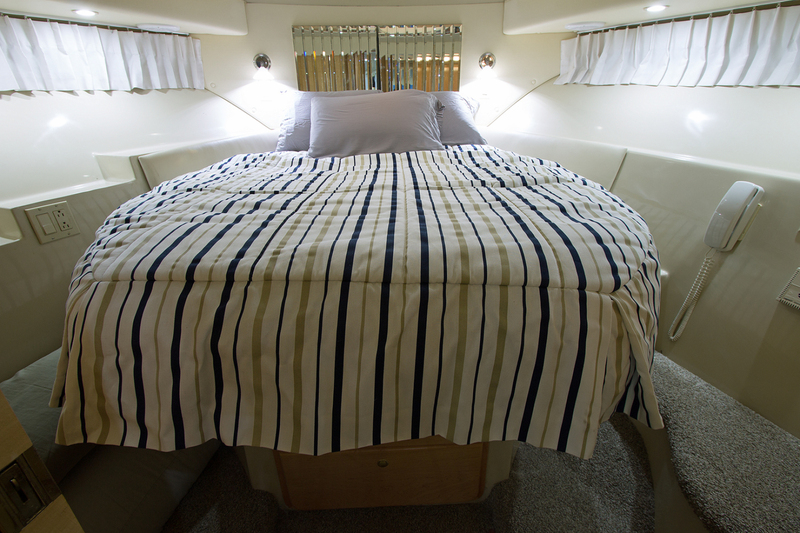 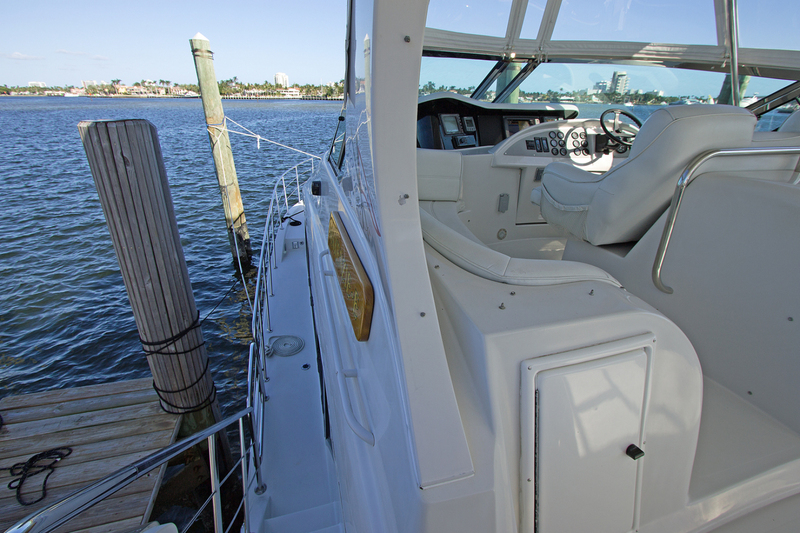 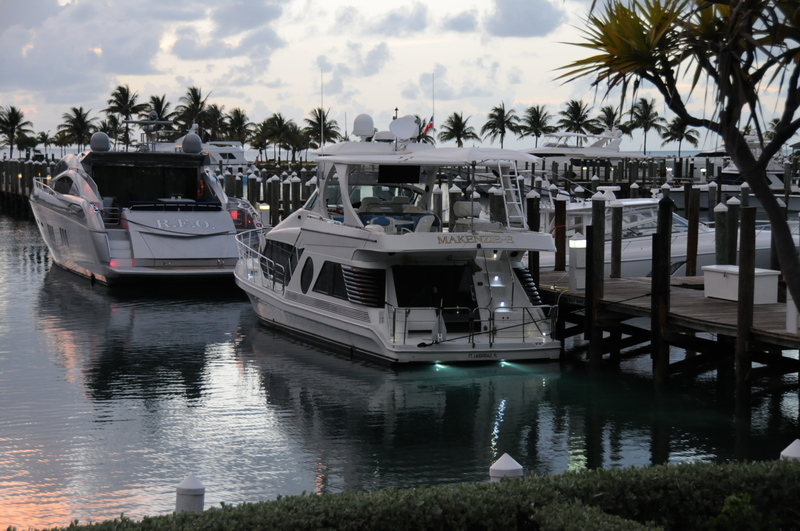 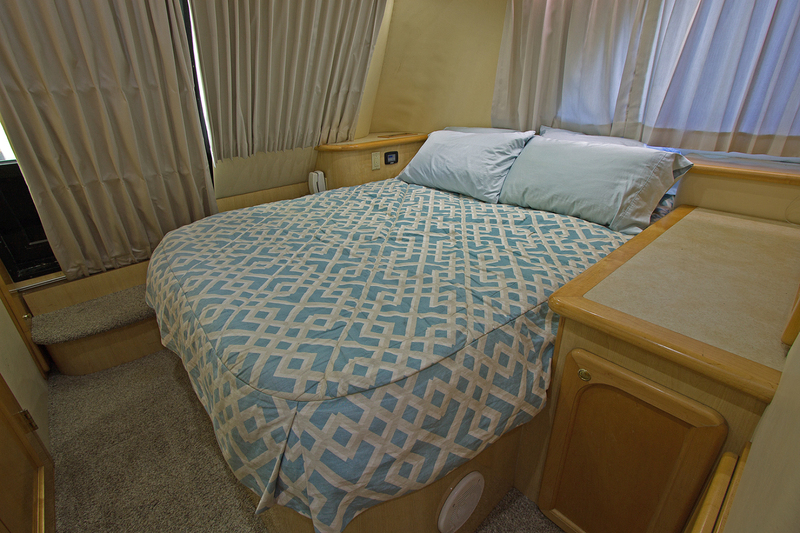 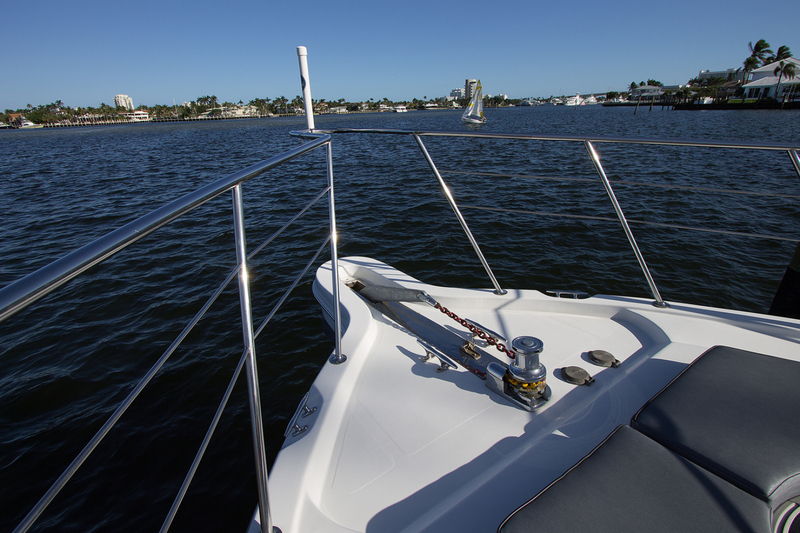 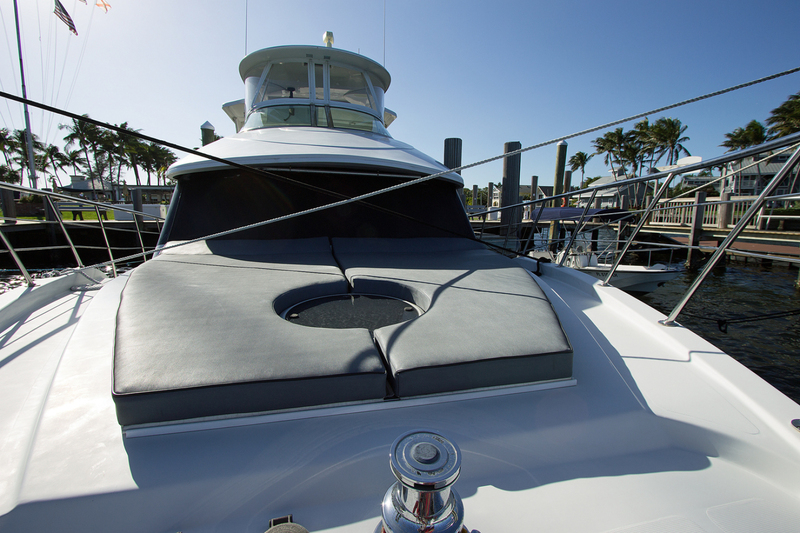 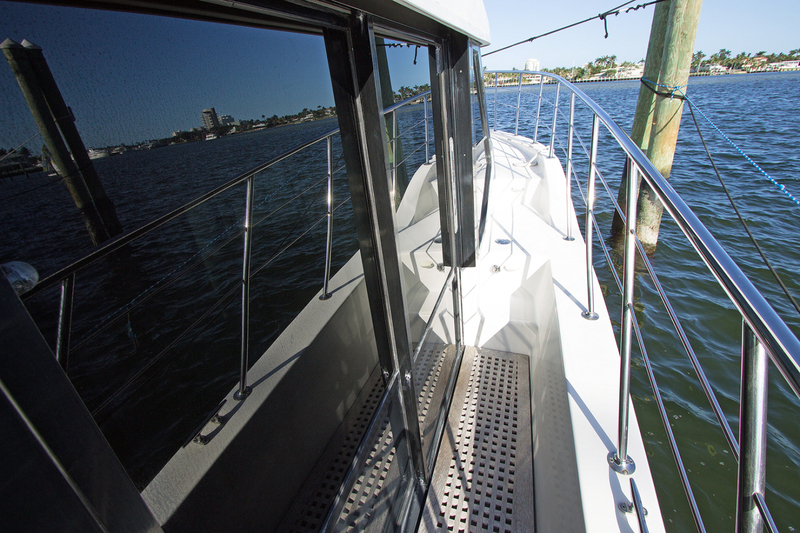 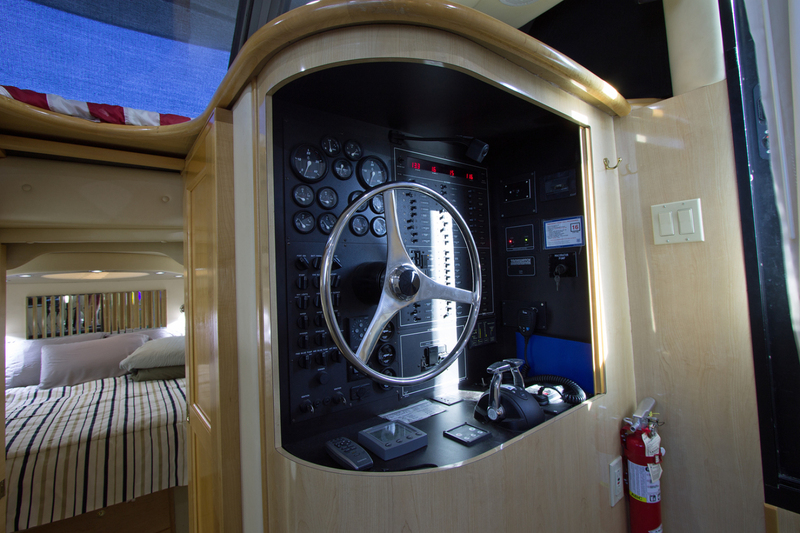 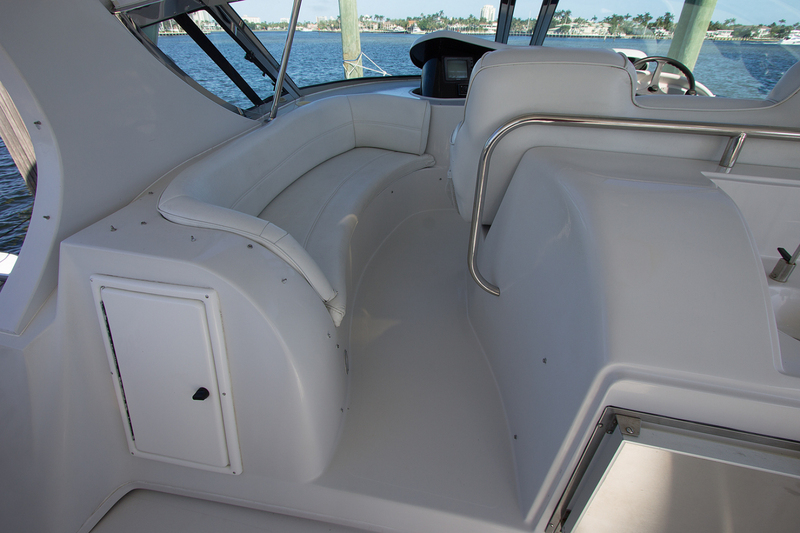 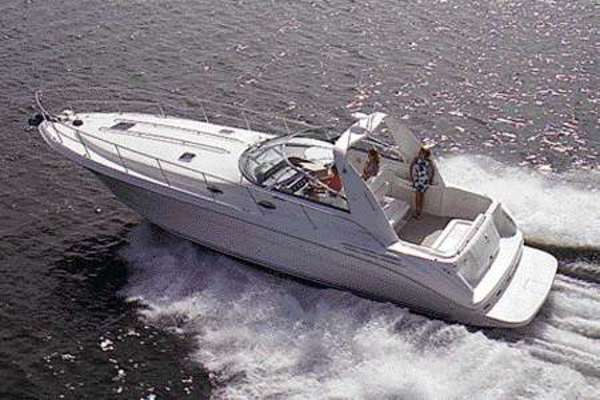 Her shallow draft Is perfect for the Bahamas or the Keys and the low center of gravity provides an incredibly smooth ride, even in tough conditions. 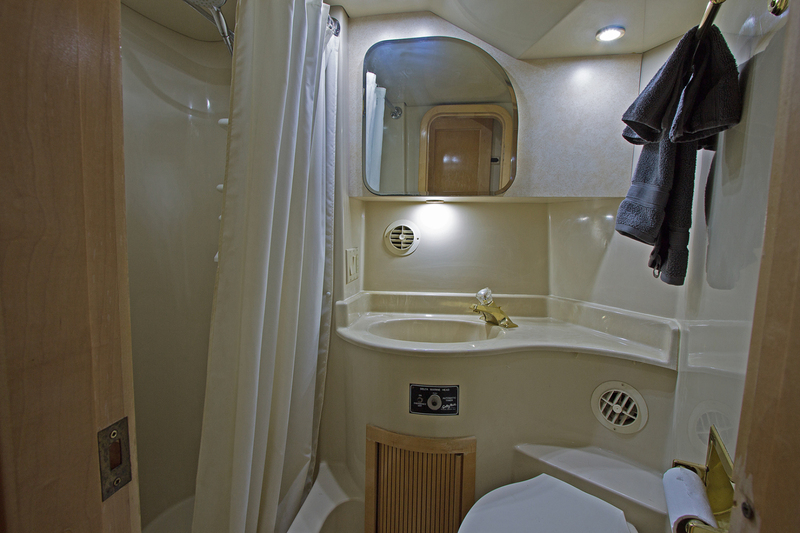 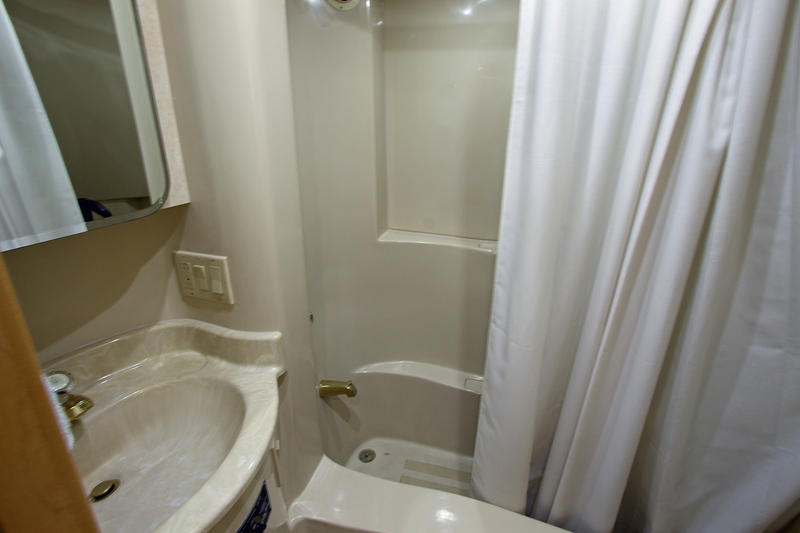 The spacious and bright lower deck has two staterooms, two heads, galley, salon, bar and dining area, as well as a lower station ‐ all on one level with lots of headroom! 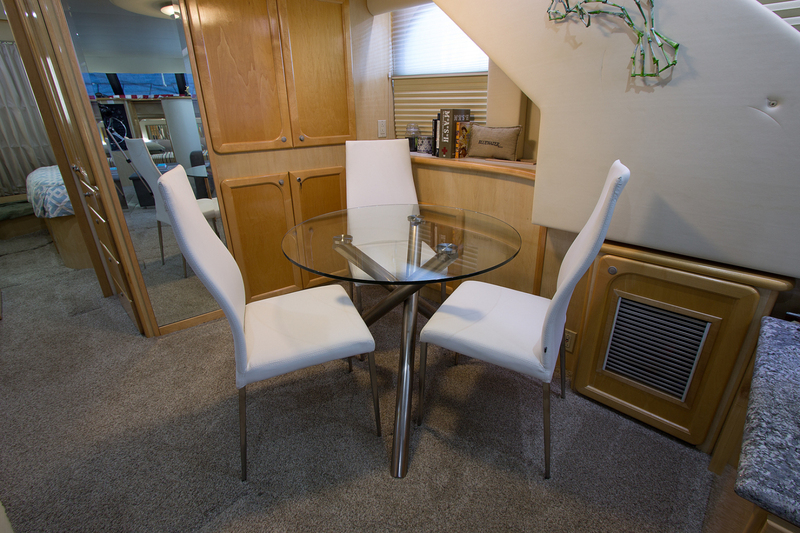 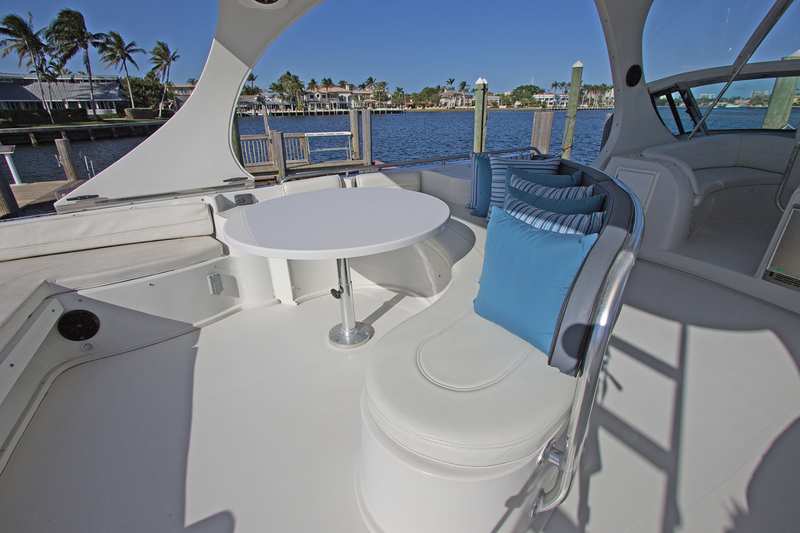 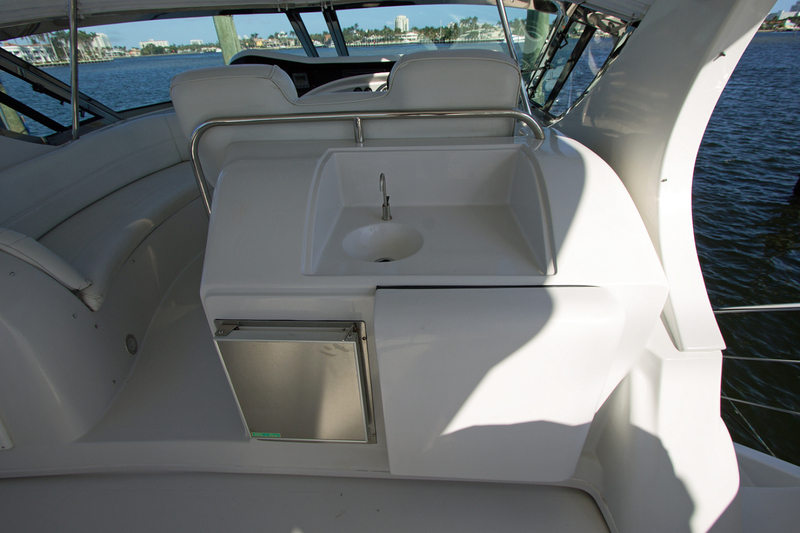 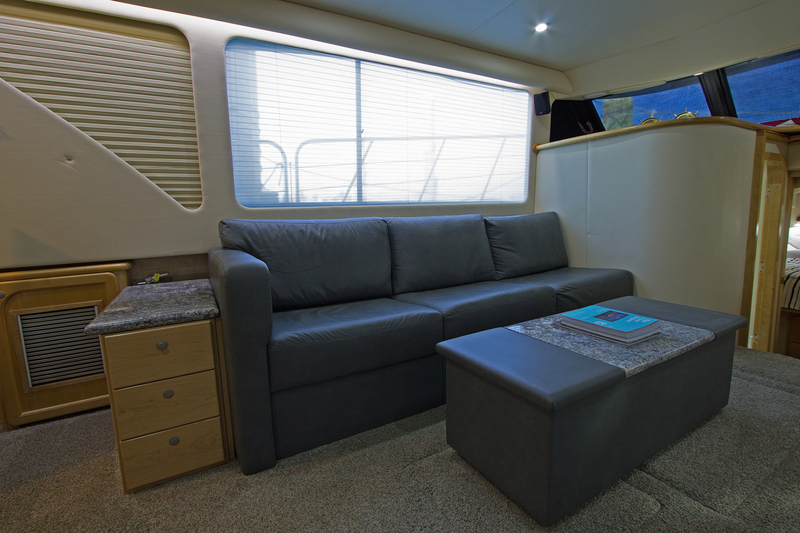 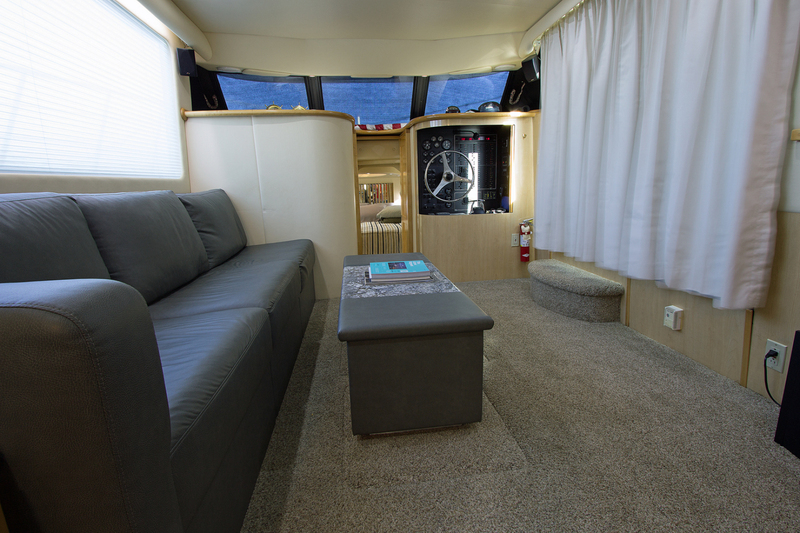 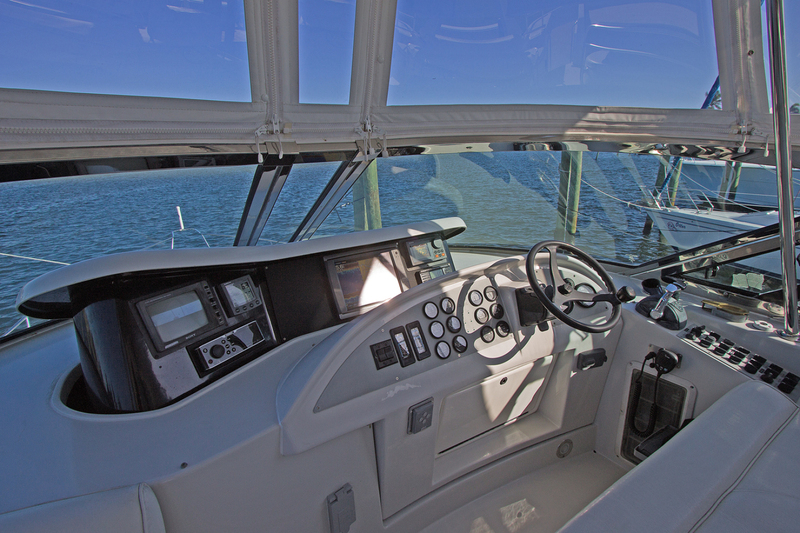 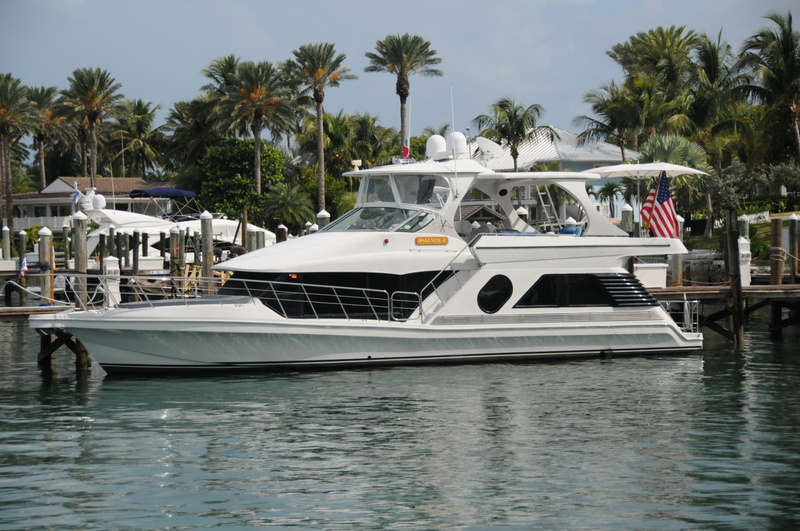 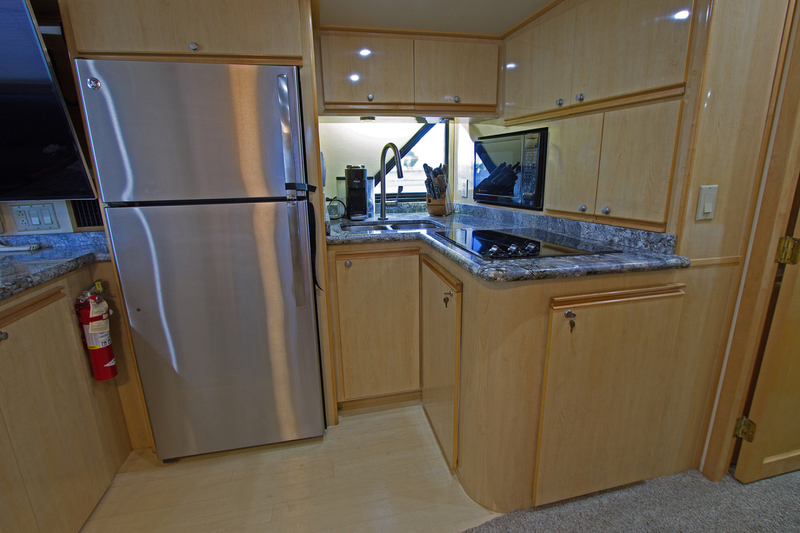 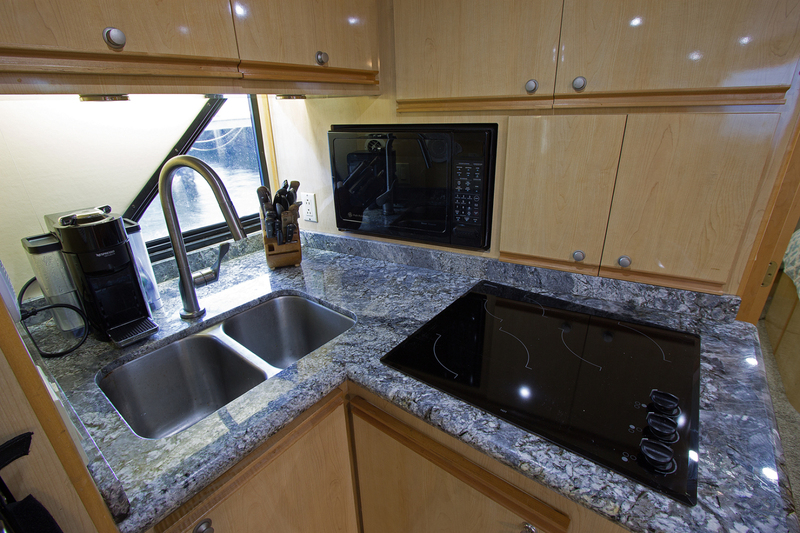 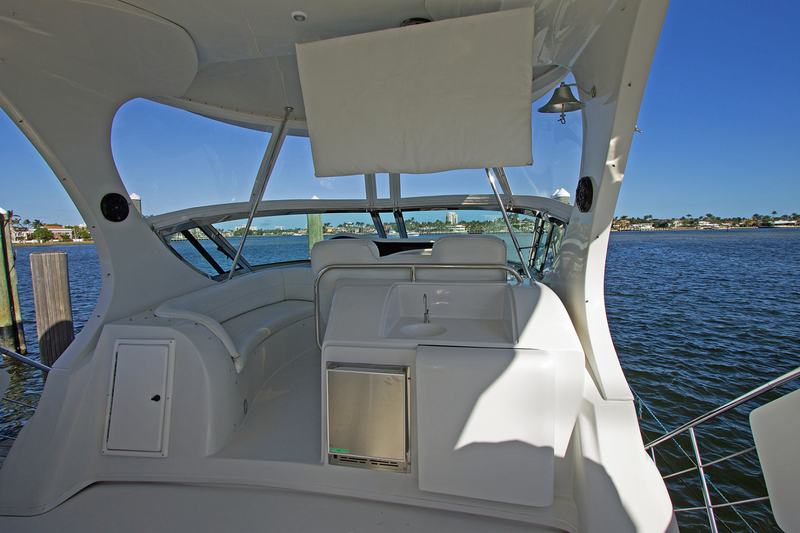 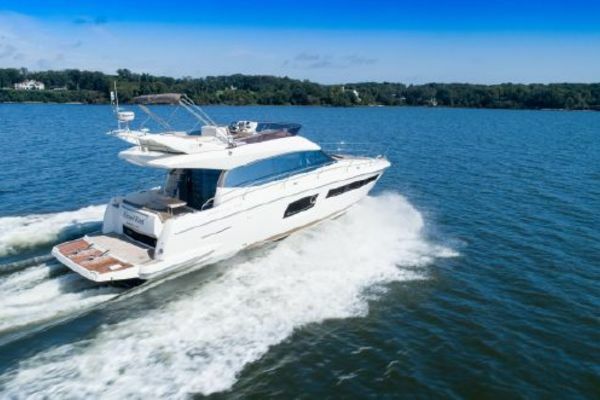 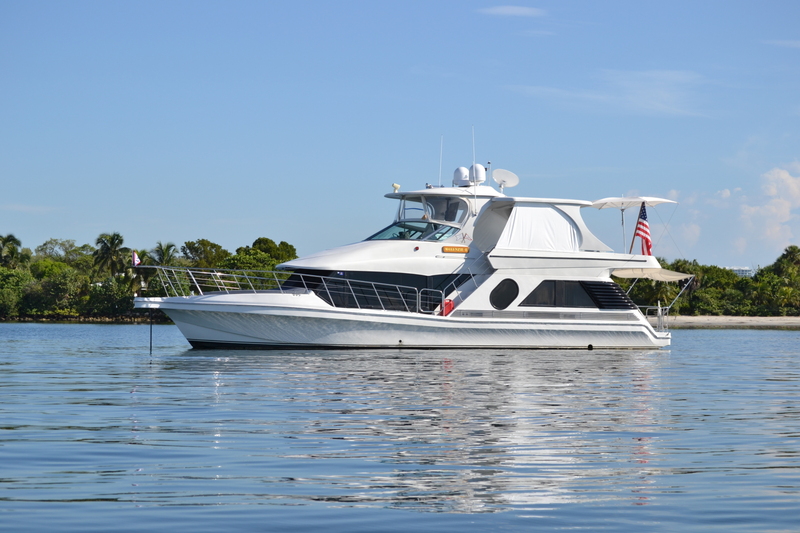 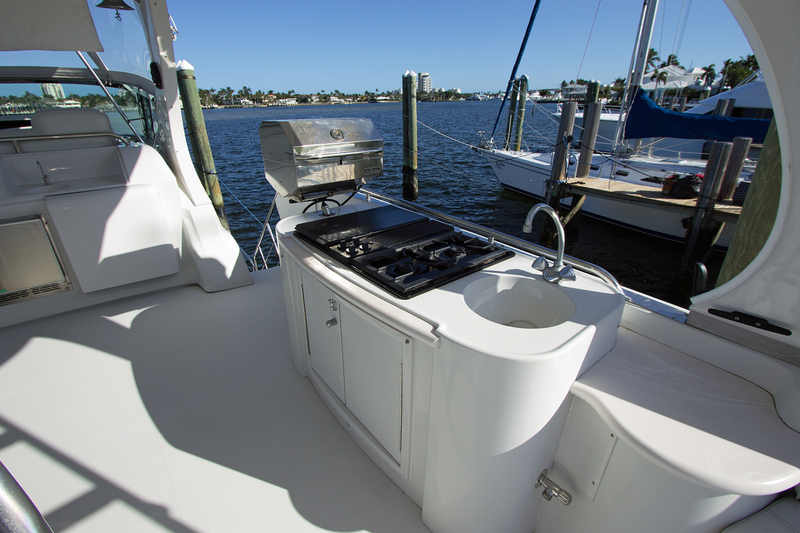 The upper deck is huge and boasts a helm station with retractable electronics panel, Jenn‐air grille, wet bar, icemaker, wrap around seating and full hardtop with Isinglass and EZ2CY. 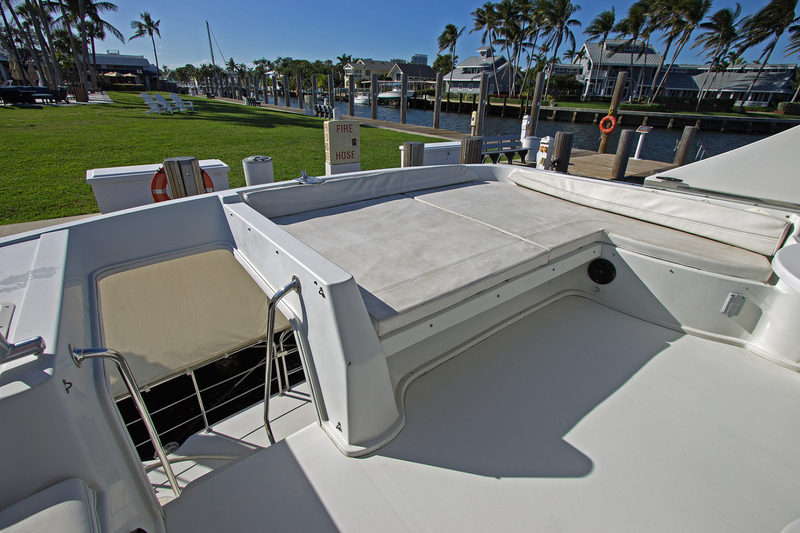 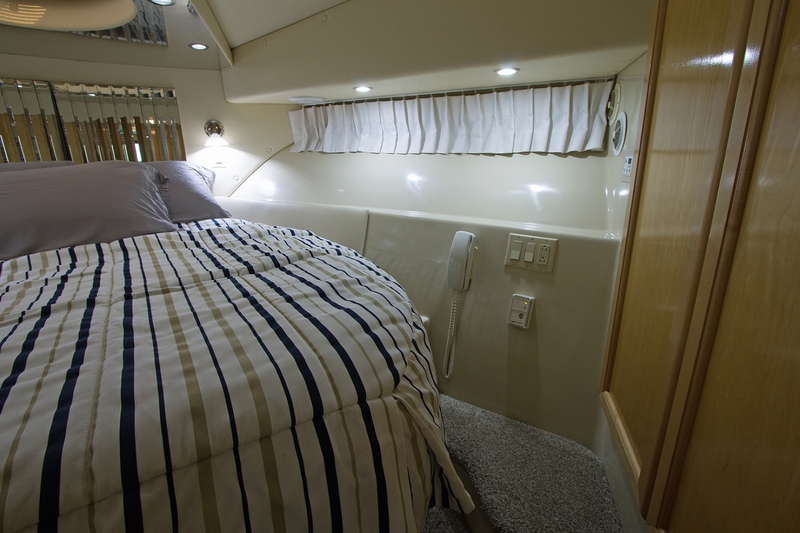 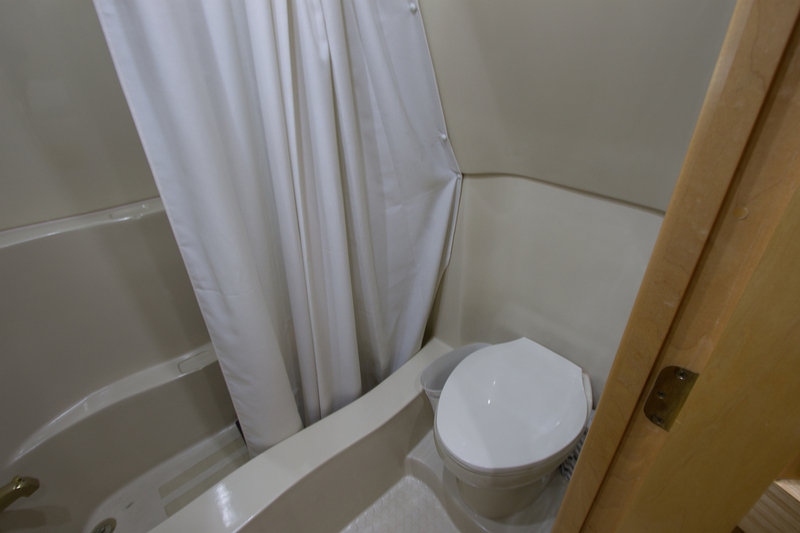 The "walk‐out" aft deck provides easy boarding and water access via a convenient swim ladder. 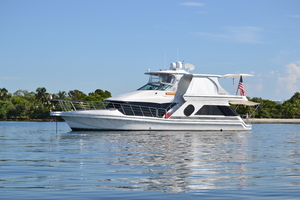 Whether you are interested in a great liveaboard, a floating vacation home or a comfortable cruising vessel to make the Great Circle trip, travel the ICW or relax in the Bahamas or the Keys ‐ THIS IS THE ONE!! 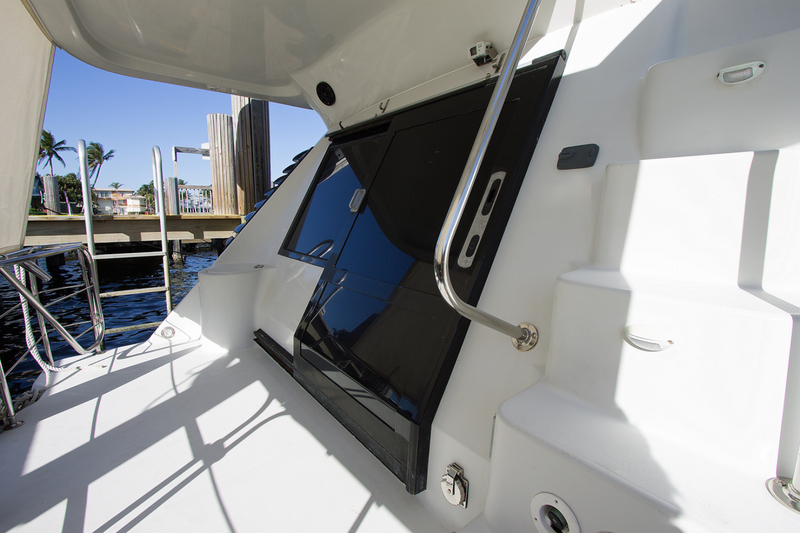 protected in recessed pockets above the keel line. 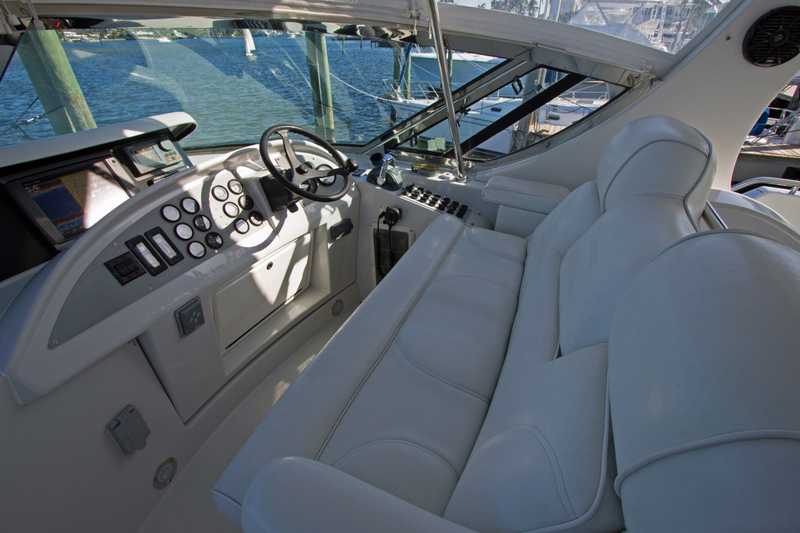 It has the lowest center of gravity in the industry and is constructed of aircraft: composites like Kevlar and Klegecell.